Indeed, here we are in the middle of January and December is but a memory, but I'm so happy that I took photos of some of the highlights! Even though predictions were for a "mild winter", we managed to have an 11" snow storm early in the month. During the day, the sun began melting the snow on our metal roof,which began its slide down only to refreeze at night. The Biltmore Estate is a special place and even more so during the Holiday season. 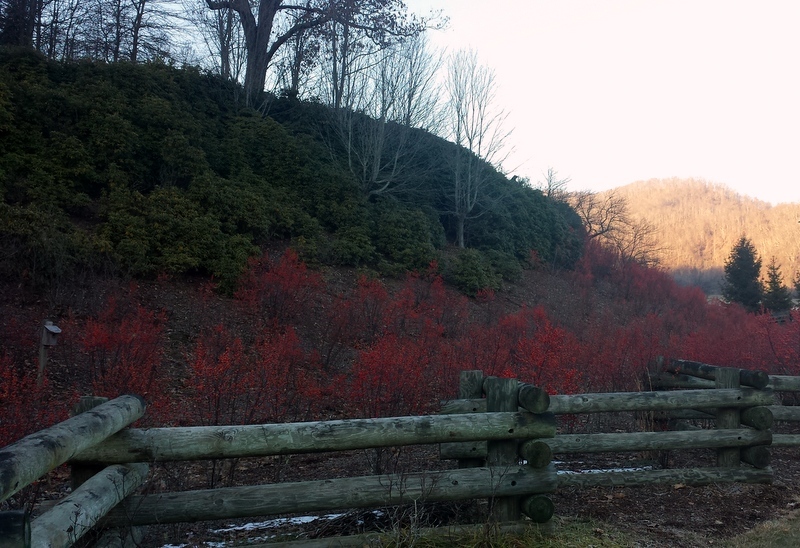 Gorgeous winterberry and rhododendron at the NC welcome center! Our extended cold weather resulting in the French Broad River freezing into large chunks as it tried to flow through the Biltmore estate. 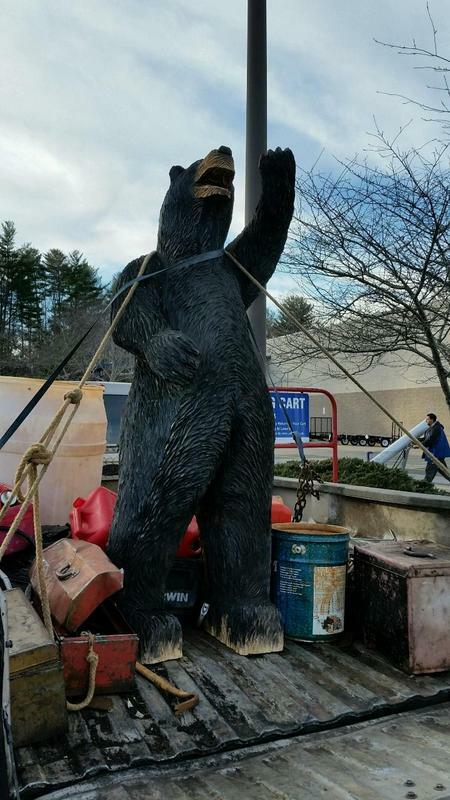 A giant, beautifully carved bear spotted in the Lowes parking lot. We met the artist, named Dennis who enjoys carving animals of all sorts. He was taking his latest creation to its new owners. His phone number (which he gave us permission to publish) is 828-435-1980. He is truly gifted!